Indo-Judaic Studies in the Twenty-First Century: A View from the Margin, editor-in-chief/co-author (New York, Palgrave Macmillan, April 2007). Kashrut, Caste and Kabbalah: The Religious Life of the Jews of Cochin, with Ellen S. Goldberg (New Delhi, Manohar, 2005). Who Are the Jews of India? (Berkeley, Los Angeles and London, University of California Press, 2000). Finalist for 2000 National Jewish Book Award (Sephardic Studies category.) Winner of 2004 Vak Saraswati Samman Award. Studies of Indian-Jewish Identity, editor and co-author (New Delhi, Manohar, 1995 [2nd ed., 1999]). 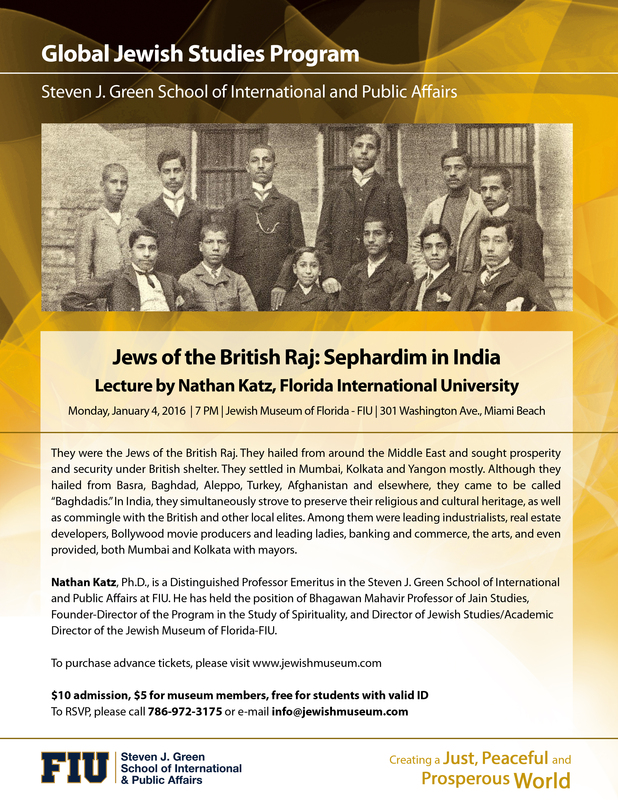 The Last Jews of Cochin: Jewish Identity in Hindu India, with Ellen S. Goldberg. Foreword by Daniel J. Elazar (Columbia, SC, Univ. of South Carolina Press, 1993). Ethnic Conflict in Buddhist Societies: Sri Lanka, Thailand and Burma, co-editor and co-author (London, Frances Pinter Publishers, 1988). Buddhist and Western Psychology, editor and co-author (Boulder, CO, Prajña Press/ Shambhala, 1983). Buddhist Images of Human Perfection: The Arahant of the Sutta Pitaka Compared with the Bodhisattva and the Mahasiddha (Delhi, Motilal Banarsidass, 1982; 2nd ed. 1989; 3rd ed. 2004). Buddhist and Western Philosophy, editor and co-author. Foreword by H. H. the Dalai Lama (New Delhi, Sterling, 1981). Western Religions and Tibet, editor and co-author (Dharamsala, Tibet Journal 16, 4 1992). Tampa Bay’s Asian-Origin Religious Communities (Tampa, National Conference of Christians and Jews, “A Religious History of Tampa Bay” Research Reports no. 1, 1991). Tibetan Social Philosophy, editor and co-author (Dharamsala, Tibet Journal 11, 4 1986). Meanderings of the Wheel of the Dhamma: A Comparative Study of Some Buddhist Missions (Kandy, Buddhist Publication Society, Wheel Series 257, 1978). Tibetan Buddhism (New Haven, CT, Yale Divinity School, Visual Education Series, 1974). Afghan Legends: A Textbook in Reading English as a Second Language (Kabul, U.S. Information Service, 1972). “The Contexts for the Torah and Science Conferences.” B’Or HaTorah (in press). “An Orthodox Jewish-American Soldier in India during WWII.” (with Ellen S. Goldberg). Journal of Indo-Judaic Studies 16 (2018): 53-60. “Response to Mr. Shashnak *Former Foreign Secretary of India.” FPRC Journal (Foreign Policy Research Center, New Delhi: “Focus: India-Israerl Relations,” ed. Dr. Mahendra Gaur) 5 (2011), pp. 23-27. “The Jews of Cochin: Brahmin Pesah, Maharajah Simhat Torah, and Caste Behavior.” B’Or HaTorah (Dec. 2010): 88-105. “The Ethics of Malabar’s Pepper Mart: A Rabbinic Responsa,” with Zvi Zohar. Journal of Indio-Judaic Studies 11 (2010): 121-144. “Buddhist-Jewish Relations throughout the Ages and in the Future.” Journal of Indo-Judaic Studies 10 (2009): 7-23. “The Jews, Israel, and India,” with Manfred Gerstenfeld. Changing Jewish Communities 2 (Jerusalem Center for Public Affairs, 15 November 2005). “The Historical Traditions of the Jews of Kochi.” Studies in History 21, 2, n.s. (New Delhi, Thousand Oaks and London) (2005), pp. 127-145. “The Identity of a Mystic: The Case of Sa’id Sarmad, a Jewish-Yogi-Sufi Courtier of the Mughals.” Numen: International Review for the History of Religions 47 (2000):142-160. Reprinted in Journal of Indo-Judaic Studies 7-8 (2004-05): 84-99. Reprinted in Sufism: Critical Concepts in Islamic Studies, ed. by Lloyd Ridgeon (London, Routledge, 2008), vol. 2, pp. 142-160. “From Legend to History: India and Israel in the Ancient World,” Shofar: An Interdisciplinary J. of Jewish Studies 17, 3 (1999):7-22. “How the Hindu-Jewish Encounter Reconfigures Interreligious Dialogue.” Shofar: An Interdisciplinary J. of Jewish Studies 16, 1(1997): 28-42. Popular version: “The Hindu-Jewish Encounter and the Future.” In The Fifty-eighth Century: A Jewish Renewal Sourcebook [Zalman Schachter Festschrift], ed. by Shohama Wiener (Northvale, NJ, Jason Aronson, 1996):331-343. “Understanding Religion in Diaspora: The Case of the Jews of Cochin.” Religious Studies and Theology 15, 1 (1996):5-17. “Leaving Mother India: Reasons for the Cochin Jews’ Migration to Israel,” with Ellen S. Goldberg. Population Review 39, 1 & 2 (1995):35-53. “The Judaisms of Kaifeng and Cochin: Parallel and Divergent Styles of Religious Acculturation.” Numen: International Review for the History of Religions 42 (1995):118-140. Abridged in Jonathan Goldstein, ed., The Jews of China (2 vols., Armonk NY, M. E. Sharpe, 1999):120-138. Revised in Roman Malek, ed., From Kaifeng… to Shanghai – Jews in China (Sankt Augustin, Germany, Monumenta Serica Monograph Series ]XLVI, 2000):173-192. “The Sephardi Diaspora in Cochin, India.” Jewish Political Studies Review 3, 3-4 (1993):97-140. “Perfection without God: A View from the Pali Canon.” Studies in Formative Spirituality 14, 1 (1993):11-22. “The Synagogues of South India.” Arts of Asia 23, 1 (Jan.-Feb. 1993):131-134. “Contacts between Jewish and Indo-Tibetan Civilizations through the Ages: Some Explorations.” Tibet Journal 16, 4 (1991):90-109. Reprinted: “Contacts between Jewish and Indo-Tibetan Civilizations through the Ages.” Judaism 43, 1 (Winter 1994):46-60. Reprinted: “Contacts Between Jewish and Indo-Tibetan Civilizations.” Points East 8, 1(1994):1, 5-10. “The Jewish Secret and the Dalai Lama – A Dharamsala Diary.” Conservative Judaism 43, 4 (1991):33-46. Revised: “A Meeting of Ancient Peoples: Western Jews and the Dalai Lama of Tibet.” Jerusalem Letter 113 (1 March 1991):1-8. “The Ritual Enactments of the Cochin Jews: The Powers of Purity and Nobility.” with Ellen S. Goldberg. J. of Ritual Studies 4, 2 (1990):199-238. Revised: “The Ritual Enactments of Indian Jewish Identity of the Cochin Jews.” In Nathan Katz, ed., Studies of Indian Jewish Identity (New Delhi, Manohar, 1995):15-51. “Asceticism and Caste in the Passover Observances of the Cochin Jews” with Ellen S. Goldberg. J. of the American Academy of Religion 57, 1(Spring 1989):53-82. Reprinted: Southeast Council Association of Asian Studies Annals 10 (1989):99-113. Also reprinted: Ethnic Studies Report 7, 1 (1989):58-70. “The Last Jews in India and Burma” with Ellen S. Goldberg. Jerusalem Letter 101 (15 Apr. 1988):1-8. “Social and Political Attitudes of Sri Lankan Monks: An Empirical Study” with F. Robert Stiglicz. South Asia Research 6, 2 (Nov. 1986): 159-180. “Prolegomena to the Study of Tibetan Social Philosophy.” Tibet Journal 11, 4 (Winter 1986):3-7. “The Golden Rock Temples of Dambulla” with Ellen S. Goldberg. Arts of Asia 16, 4 (July-Aug. 1986):69-76. Expanded: “The Golden Rock Temples of Dambulla: Their Role in Sinhalese Buddhism and Nationalism” with Ellen S. Goldberg. Southeast Conference Assn. for Asian Studies Annals 7 (1986):85-93. “Tamils en Sinhalezen” Inforiënt Dossier (Katholieke Universeteit Leuven),trans. into Flemish by P. Willems. 4, 2 (1984):12-17. “Boeddhisme en politiek in Sri Lanka” Inforiënt Dossier (Katholieke Universeteit, Leuven), trans. into Flemish by L. de Brabandere, 3, 2 (1983). “‘Academic Neutrality’ and Contemporary Tibetan Studies.” Tibet Journal 8, 4 (1983):6-9. “Buddhism and Marxism on Alienation and Suffering.” Indian Philosophical Quarterly 10, 3 (1983):255-261. Translated into Serbo-Croatian by M. Milanovic: “Buddhism and Marxism.” Knijisevna Rec (Belgrade, “The Literary Word”) 207 (March 3, 1983). “Scholarly Approaches to Buddhist Studies: A Political Analysis.” Eastern\ Buddhist 15, 2 (1982):116-121. “Some Methodological Comments on the Use of the Term ‘Hinayana‘ in the Study of Buddhism.” Religious Traditions 3, 1 (1980): 52-58. “Does the ‘Cessation of the World’ Entail the Cessation of the Emotions? The Psychology of the Arahant.” Pali Buddhist Review 4, 3 (1979):53-65. “Anima and mKha’ ‘gro ma: A Critical, Comparative Study of Jung and Tibetan Buddhism.” Tibet Journal 2, 3 (1977):13-43. Revised: “On the Phenomena of ‘the Feminine’ According to Tantric Hagiographical Texts and Jungian Psychology.” In Nathan Katz, ed., Buddhist and Western Psychology (Boulder, Prajña Press/ Shambhala, 1983):241-262. Revised, expanded: “Dakini and Anima: On Tantric Deities and Jungian Archetypes.” In Daniel J. Meckel and Robert L. Moore, eds., Self and Liberation: The Jung/Buddhism Dialogue (Chicago, Paulist Press, 1992):302-329. Translated into Polish by J. Sieradzan, T. Sikory and M. and P. Zowislow, “Anima i Khadoma. Krytyczene Porównawcze Junga i Buddyzmu Tybetanskiego,” NOMOS Kwartalnik Religioznawczy 18/19 (1997):137-167. “An Appraisal of the Svatantrika-Prasangika Debates.” Philosophy East and West 26, 3 (1976):253-267. Chapters in Books, Encyclopedia Entries, Etc. “The Jewish Museum of Florida (FIU),” with Tudor Parfitt. Chapter Nine in Memory and Ethnicity: Ethnic Museums in Israel and the Diaspora. Ed. By Emanuela Trevisa Seri, Dario Miccoli, and Tudor Parfitt. Cambridge Scholars Press, 2014, pp. 223-238. “Religious Practices and Communal Identity of the Cochin Jews; Models Metaphors and Methods of Diasporic Religious Acculturation.” Steven Ramey, ed., Critical Developments in Religious Studies: A Decade of Aronov Lecturers. (2014 in press). “Jewish-Buddhist Dialogue.” Catherine Cornille, ed. Wiley-Blackwell Companion to Interreligious Dialogue (Chichester, U.K., John Wiley & Sons, 2013), pp. 394-409..
“Religious Practices and Communal Identity of the Cochin Jews: Models, Metaphors, and Methods of Diasporic Acculturation,” in M. Avrum Ehrlich, ed., Negotiating Identity Amongst the Religious Minorities of Asia (Leiden, Brill, 2008, in press). “Buddhist-Jewish Relations.” In P. Schmidt-Leukel, ed., Buddhist Attitudes to Other Religions, (St. Ottilien, Germany, EOS, 2008), pp. 269-293. “Jewish-Indian Contacts over the Ages.” In M. Avrum Ehrlich, ed., Encyclopedia of the Jewish Diaspora (Santa Barbara, ABC-Clio, 2008), entry 304. 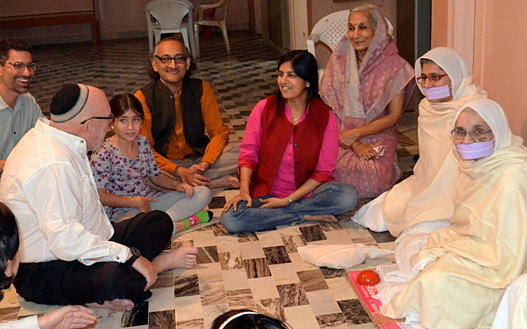 “The State of the Art of Hindu-Jewish Dialogue.” In N. Katz, et. al., eds., Indo-Judaic Studies in the Twenty-First Century: A View from the Margin (New York, Palgrave Macmillan, 2007), pp. 113-126. “Introduction: Indo-Judaic Studies in the Twenty-First Century – A Perspective from the Margin.” In N. Katz, et. Al., eds., Indo-Judaic Studies in the Twenty-First Century: A View from the Margin (New York, Palgrave Macmillan, 2007), pp. 1-15. “Indians in Israel.” In Peter Reeves, Brij V. Lal and Rajesh Rai, eds., The Encyclopedia of the Indians Overseas (Singapore, Éditions Didier Millet, 2006), pp. 236-239. “India.” Encyclopedia Judaica, F. Skolnik, et. Al., eds, (2nd. Ed, Farmington Hills, MI, Thomson Gale, New York, Macmillan Reference, and Jerusalem, Keter, 2006), vol. 9, pp. 771-776. “Kochi.” Encyclopedia Judaica, F. Skolnik, et. Al., eds, (2nd. Ed, Farmington Hills, MI, Thomson Gale, New York, Macmillan Reference, and Jerusalem, Keter, 2006), vol. 12, pp. 247-250. “Mota, Nehemia.” Encyclopedia Judaica, F. Skolnik, et. Al., eds, (2nd. Ed, Farmington Hills, MI, Thomson Gale, New York, Macmillan Reference, and Jerusalem, Keter, 2006), vol. 14, p. 569. “The Jews of Asia.” In The Oxford Handbook of Global Religions, ed. by Mark Juergensmeyer (New York, Oxford University Press, 2006), pp. 231-241. “Rabbinic Views of Hinduism and Buddhism.’ In Alon Goshen Gottstein, ed., Toward a Jewish Theology of World Religions – An Inaugural Conference (Jerusalem: Elijah Interfaith Institute; and Scranton, PA: University of Scranton, 2005), pp. 34-36. “Judaism: Judaism in Asia.” In Lindsay Jones, et. al., eds., Encyclopedia of Religion, Second Edition (Farmington Hills, MI, and New York: Macmillans Reference, 2005), vol. 7, pp. 5004-5011. “Bhavaviveka.” In Lindsay Jones, et. al., eds., Encyclopedia of Religion, Second Edition (Farmington Hills, MI, and New York: Macmillans Reference, 2005), vol. 2, pp. 860-861. “Foreword” to Chaman Lal Raina, ed. and trans., Facets of Shri Chandni-Nava Durga (New Delhi, Sharada Publishing House, 2003), p. ix. “The Modernization of Singhalese Buddhism as Reflected in the Dambulla Cave Temples.” In Buddhism in the Modern World: Adaptations of an Ancient Tradition, ed. by S. Heine and C. S. Prebish (New York, Oxford University Press, 2003), pp. 27-44. “Hinduism and Interfaith Dialogue: Hindu-Jewish Relations.” In Encyclopedia of Hinduism, ed. by K. L. Seshagiri Rao (Columbia, SC, Univ. of South Carolina Press, 2004, in press). Revised, expanded: “Hindu-Jewish Relations,” American Vedantist 7, 2 (2001):18-24. Trans. into Kannada in Viveka Prabha (Yadavagiri, India, Ramakrishna Order, in press). “From JuBu to OJ.” In Beside Still Waters: Jews, Christians, and the Buddha’s Way. ed. by H. Kasimow, J. P. Keenan, and L. K. Keenan (Boston, Wisdom Publications, 2003), pp. 31-44. “Jewish Folklore” and “Judaism.” In South Asian Folklore: An Encyclopedia, ed. by Peter J. Claus, Margaret A. Mills, and Sarah Diamond, eds. (New York and London, Routledge, 2003), pp. 309-310 + 313-314. “Religious Pluralism and Chongsan’s ‘Ethics of Triple Identity’ with Perspectives from the Buddha and Ashoka Maurya,” in Religions in Our Future Society (Iksan City, Korea, Wonkwang University, 2000), pp. 515-527; Korean trans. by Young-Ju Kim, pp. 205- 214. “Introduction” In Nathan Katz, ed., Studies of Indian Jewish Identity (New Delhi, Manohar, 1995):1-12. “Sri Lankan Monks on Ethnicity and Nationalism.” In K. M. de Silva, P. Duke, E. S. Goldberg and N. Katz, eds., Ethnic Conflict in Buddhist Societies: Sri Lanka, Thailand and Burma (London, Frances Pinter, and Boulder, Westview Press, 1988): 138-152. “Bhavaviveka.” In Mircea Eliade, ed., The Encyclopedia of Religion (New York, Free Press/ Macmillan, 1987): vol. 3, pp. 134-135. “Jewish Perspectives on Equality.” In R. Siriwardene, ed., Equality and the Religious Traditions of Asia (London, Frances Pinter, 1987):135-143. “Buddhism and Politics in Sri Lanka and other Theravada Nations since 1945.” In Charles Wei-hsun Fu and Gerhard E. Spiegler, eds., Movements and Issues in World Religions: An Analysis and Sourcebook of Developments Since 1945 (New York, Westport, CT and London, Greenwood Press, 1987): 157-176. “Theravada Buddhism and Marxism in the Post-War Era” with Stephen D.Sowle. In Fu and Spiegler, eds. Movements and Issues in World Religions, (New York, Westport, CT and London, Greenwood Press,1987):417-462. “Summary and Conclusions.” In Padmasiri de Silva, ed., Two Concepts of Peace (Colombo, Lake House, 1985):44-48. “Foreword” to Songs of Spiritual Change by Gyalwa Kalzang Gyatso, the Seventh Dalai Lama, tr. by Glenn H. Mullin. (Ithaca, NY, Snow Lion Publications, 1985):viii-x. “Nagarjuna and Wittgenstein on Error.” In Nathan Katz, ed., Buddhist and Western Philosophy (New Delhi, Sterling, and Atlantic Highlands, NJ, Humanities Press, 1981):306-327. Translated into Korean: “Wittgenstein-gwa Yongsoo-ui Oryu-ron” in Philip H. Hwang, ed. And trans., Boonsuk Chulhak-gwa Jonggyo (Analytical Philosophy and Religion) (Seoul, Jongro Publishing Co., 1984): 270-296. Reprinted: Sudesika: Festschrift Bhikkhu Ñanajivako (Cedomil Veljacic), ed. by Sinisa Dokic (Zagreb, Antibarbarus, 1997), pp. 81-97. “A Tibetan-language History of Israel by Jamyang Norbu.” J. of Indo-Judaic Studies 1 (1998):83-91. “Indrabhuti’s ‘Confession of Errors in the Roots and Branches of the Vajrayana’: A Critical Edition, English Translation and Discussion.” J of the International Association of Buddhist Studies 2, 2 (1979): 31-44. Abridged version: “Indrabhuti’s rDo rje theg pa’irtsa ba dang yan lag gi ltung ba’i bshags ba: A Tantric Confessional Text.” In Michael V. Aris and Aung San Suu Kyi, eds., Tibetan Studies in Honour of Hugh Edward Richardson (Warminster, Aris & Philips, 1980):169-176. “The Hagiography of Nagarjuna.” with Kelsang Yeshi. Kailash: A Journal of Himalayan Studies 5, 4 (1977):269-276. “A Translation of the Biography of the Mahasiddha Indrabhuti with Notes.”Bulletin of Tibetology 12, 1 (1975):25-29. “What Jews Can Learn from Buddhism.” Review of Funny, You Don’t Look Buddhist: On Being a Faithful Jew and a Passionate Buddhist, by Sylvia Boorstein. Tikkun 12, 3 (Mar.-Apr. 1997):67-70. “Why we should care about Indian Prime Minister Modi’s visit to Israel.” Jewish Journal (Ft. Laudedale, FL, Sun-Sentinel, July 5, 2017), p 17. “By Us This Is Forbidden – A Tale of Jewish Ethics and Indian Spices,” with Zvi Zohar, Havruta: A Journal of Jewush Conversation, special issue on “The Business of Ethics,” 4 (Jerusalem, Shalom Hartman Institute, Winter 2010), pp. 34-41. “Jerusalem in Benares.” Tikkun (May/June 2007), pp. 23-25, 68-70. “The Last Jews of Cochin.” One (New York, July 2006), pp. 32- 37. “Following the spiritual impulse.” In A Chorus of Wisdom, ed. by Sorah Dubitsky (Ulysses Press, 2005), pp. 27-31. “The Buddhist Flutist – A Conversation with Nestor Torres.” Loft 34 (Miami, May 2005), pp. 46-49. “Angel & Ape: Revered religious authority Rabbi Adin Steinsaltz discusses the material, the spiritual, and the divine.” Loft (Miami, March 2005), pp. 50-53. “Yom Kippur: Dalai Lama’s Lesson on ‘Returning’ to G-d,” Miami Herald (Sept. 24, 2004): 29A. “Adapting Asian Values,” Forum: The Magazine of the Florida Humanities Council (Fall 2000):26-27. “Zen and the Art of Jewish Maintenance,” Dimensions (Apr.-May 1999): 66-69. “On the Other Side – The absence of anti-Jewish sentiment is a matter of pride for both Jews and Gentiles in India,” Dimensions (Winter 1997):91-92. “Jews and Gurus.” Midstream (Aug.-Sept. 1996):15-17. ‘Aw, shucks! A journey in Jewish Savannah through history, and oysters.” Phila. Jewish Exponent (Aug. 5, 1994):1X, 4X. “Jewish-Hindu Dialogue.” Hinduism Today 16, 7 (July 1994):1, 5. “The Synagogues of South India.” Echoes of Sepharad 2 (Oct. 1991): 17-21. “India’s Schwarzkopf is a Jew.” National Jewish Post & Opinion (June 19, 1991):11, 16. “Also chosen people.” Jerusalem Post (May 21, 1991). “A monk’s ‘Shabbat Shalom’.” Jerusalem Post (May 7, 1991). “A bracha for the Dalai Lama.” Jerusalem Post (April 30, 1991). “The Dalai Lama and the ‘Jewish secret’.” Jerusalem Post ( April 23, 1991). “A Dharamsala Diary.” Points East: J. of the Sino-Judaic Institute 6, 1 (March 1991):1, 10-12. “The Jewish Secret and the Dalai Lama: A Dharamsala Diary.” Jewish Press of Tampa 3, 9 (Nov. 23-24, 1990):1, 12-13. 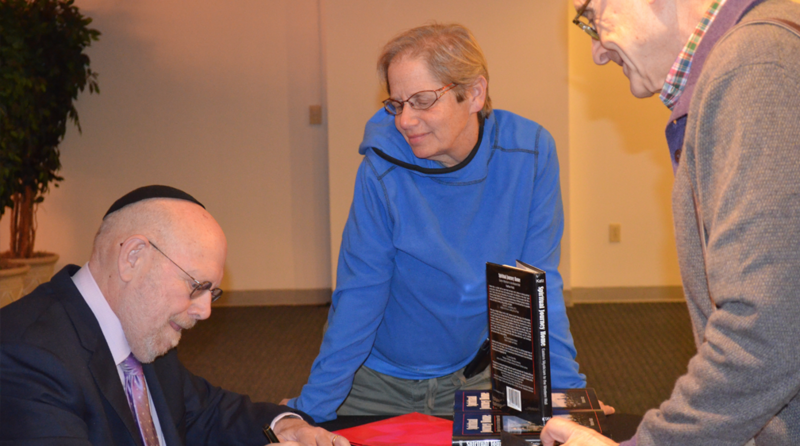 “The Jews of Cochin” with Ellen S. Goldberg. Midstream 34, 2 (Feb./Mar. 1988):41-44. “Interview with Abbie Hoffman” with Bill Hamilton and Ellen Goldberg. Splash: Art and Contemporary Culture 5 (1986):32-33 & 44-45. “Minorities in Buddhist Polities: Sri Lanka, Burma and Thailand,” with Sirima Kiribamune. (Kandy, International Centre for Ethnic Studies, Workshop Reports No. 10, 1985). “The Jews of Cochin–Why Are They Leaving India?” with Ellen S. Goldberg, St. Petersburg Times (November 23, 1985). “Bhikkhus and Development: A Sri Lankan Experiment.” Young Buddhist (1984):217-221. “Tibet’s exiled leader talks of homeland now ruled by China,” with E. S. Goldberg. Christian Science Monitor (July 30, 1984). “Commentary on the Use of the Term ‘Hinayana ‘” Young Buddhist 80, 2 (1980):135-138. “Ananda Coomaraswamy and Religionswissenschaft .” Dialogue 4, 3 (1977).